Pari Tibba is situated on the east of Mussorie, a famous tourist destination in Uttarakhand. Pari Tibba is covered by a thick layer of oak and deodar forests as is literally dubbed as Land of Fairies by the locals. Best period to go through this trek is in April when the rhododendrons are in bloom and the oak in purple new leaf. From October onwards we can see the snow clad Mussorie peaks from close, as it offers a beautiful orange hue and a band of gold and purple during sunset far ahead till Doon Valley. There are many varieties of ferns and walk among them could result in leech bites during rainy season. It's a short circuit and takes around 6-7 hours to complete. The top of the ridge offers breath-taking views of the valley as well as some old ruins remnants of the British settlements driven out by lightning strikes. There are many educational institutions and campuses that run down the opposite side of the Valley. Be careful during descent as their are possibility of Wild Animal confrontation. 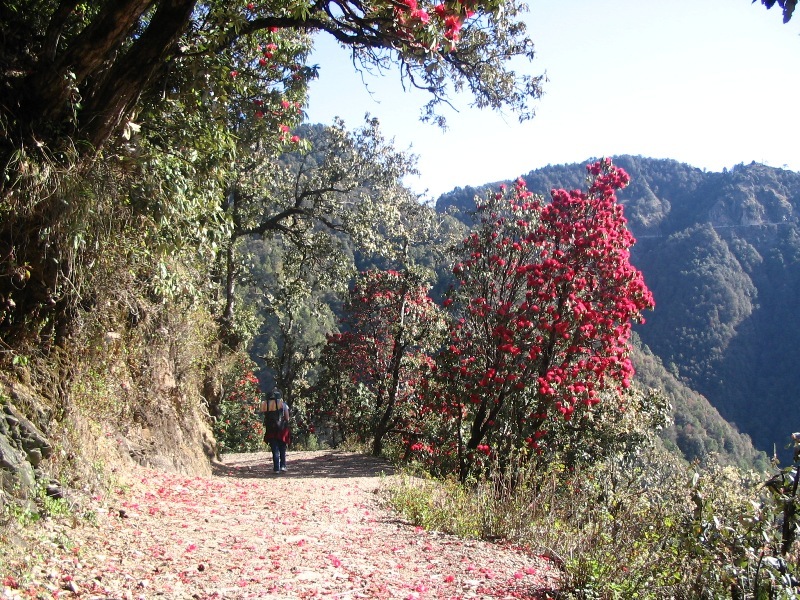 The trek will undergo through pristine forests and an easy trail. The maximum altitude is 8500 feet. Mussorie is a famous hill station in the Dehdradun district of Uttarakhand and located about 32 kilometers from the administrative capital. 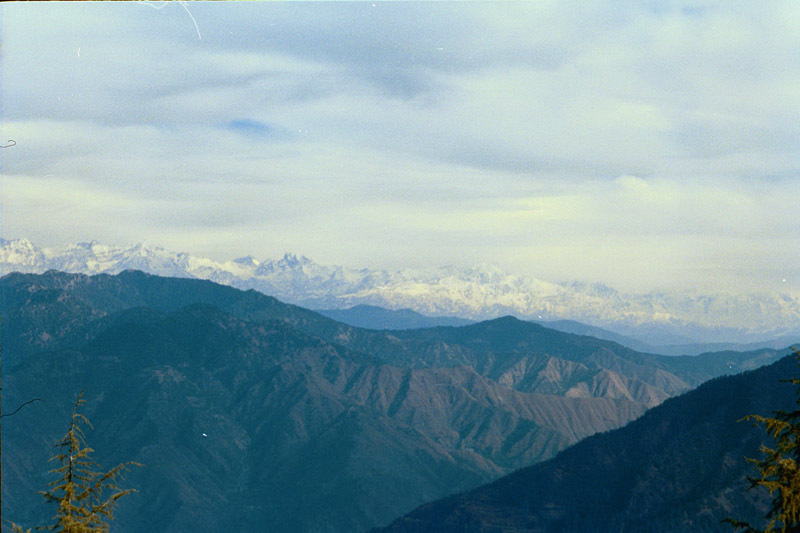 It lies 300 kms from New Delhi and in the foot hills of Garhwal Himalayan Ranges. Mussorie is also called Queen of the Hills for its green hills and varied flora and fauna and lies at 1900 meters altitude. There are numerous educational institutions, restaurants, shops and places for entertainment in Mussorie. Enjoy sight seeing and nature's walk on Camel's back Road, Gun Hill, St. Mary's Church which is one of the oldest in Himalayas, Kempty Waterfalls, Lal Tibba and the famous roller skating ring which is the largest in India. We will start our hike from Woodstock School and follow the short road to Dhobi Ghat, the last place for refreshments. The climb to the top takes 2-3 hours to reach via this route. We reach Chamalsari and from there a gentle ascent for 2 kilometers will take us to a gap between two peaks from where a well trodden path is visible which will become even steeper as we cross the village of Khetwala and reach Arnigad/Rispana Stream which will thus culminate into a Pucca Canal and then lead to Company Bagh. It's an easy climb to the top of Pari Tibba, where we can experience views of a valley covered by thick forests. Due to old ruins visible this place is also called Witches Hill. There are large educational institutions visible in a line on the opposite side of the valley. As we start our descent from here we will come across some caves which are best to avoid due to possibility of bears, we follow the ridge crestline over an unmarked path through oak forest until we reach a stone wall where the forest cover ends over a clearly defined path. Our Vehicles will be waiting to collect you from here to Mussorie.